Need a pocket sized fun family card game to take on holiday? What are the best games to take on holiday? 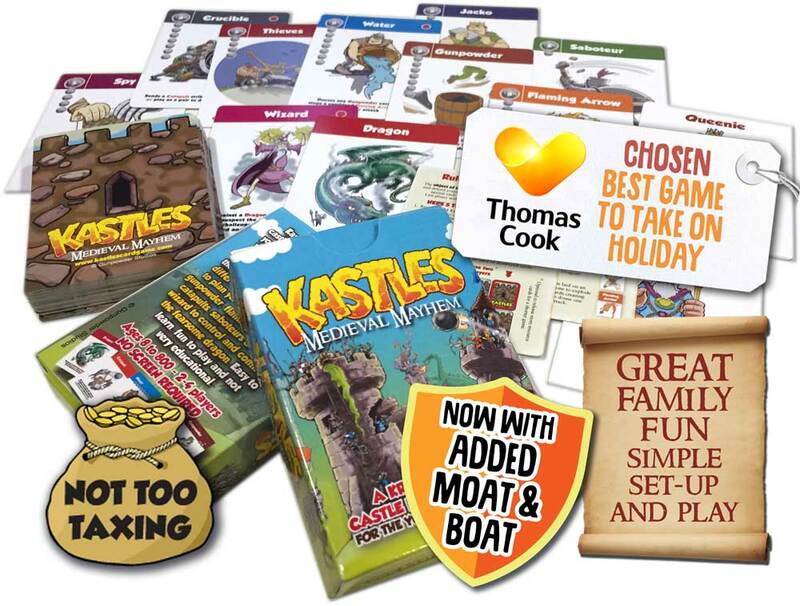 It’s not always easy to keep the kids entertained (or the adults), you can’t take a full sized game of monopoly on the plane so why not save your baggage allowance and pop a game of Kastles in your hand luggage. Kastles may be small (a standard pack of cards even) but it’s a pack with a punch and will give you hours of entertainment and family play time before you head to the beach. There’s nothing more fun than destroying dad’s caslte or watching mum reach for the white wine whilst struggling to keep her king and queen safe. Kastles, it’s a packaged holiday fun game for all the family. No screen required. Now with added moat and boat.